Make Up For Dolls: Dupe Alert: MAC Fashion Fix! One of MAC's latest collections (Office Hours) has introduced a bunch of new Pro Longwear formula eyeshadows, one of which is called Fashion Fix, and is a cool-toned greyed brown. 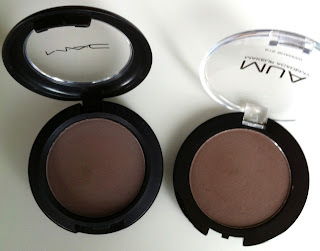 It's an interesting enough shade and the only one of the collection I was particularly interested in. The shades are all to be part of the permanent line and not LE (for a bloody change - I don't think I'm the only person on the planet getting bored of the LE nature of MAC collections). These ProLongwear shadows are disappointingly no where remotely near as good as the previously released Pro Longwear shadows - they're patchier, less pigmented and chalkier, and need quite a bit of working with. I loved the previous Pro Longwear shades, and have most of them. These... hmmm. Back to Fashion Fix. It's a satin-matte finish. It's supposedly "Dark Cool Slate Grey". It's a good a description as any; it's not quite a taupe, it's not quite a brown, it's not quite a grey. Like I said, an interesting - I can see this being useful as a lid colour with a darker crease, or as a socket colour with a really light lid shade. It's €21.50. This is not cheap, not for a single eyeshadow. So in the interest of Dupe WeekTM ;-) I thought I'd try to find a cheaper dupe. And find one I did. MUA Shade #19 is a reasonable enough approximation of this. It's also matte. 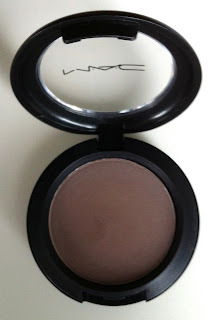 It's a cool-toned brown, perhaps a tiny bit slightly warmer than MAC Fashion Fix. We're not comparing like-with-like, but at €1.49, is a much cheaper alternative. It's got 2g compared to MAC's 3.4g. 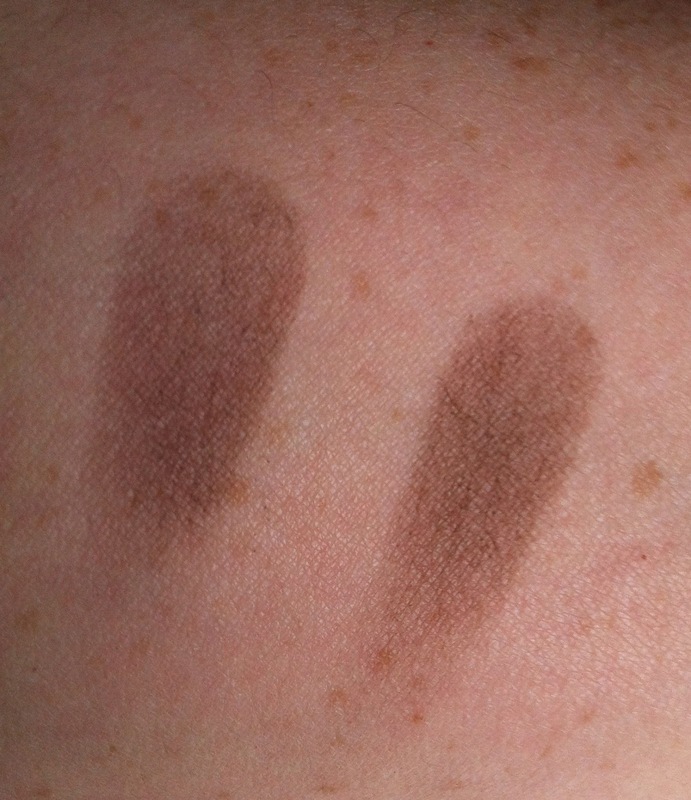 It's also slightly easier to work with and slightly more pigmented and very slightly longer lasting. Definitely a credible dupe, if you're interested in this shade, I'd recommend it over the MAC!